1. "Well aren't these pretty. Now fill up my bowl or the flower gets it!" 2. "Tickle my tummy! immediately!" 3. "UM, I DON'T THINK SO BUDDY...THAT'S BETTER"
4. "You can trust me but I can't say the same for my friend here." 5. hi human. I want sashimi! 6. "come on, where are those treats you promised me?" 7. "If you hide my catnip toys again I'm going to wake you up at 4am, every morning, for the rest of your life!" 8. Seriously. Can u not. 9. "I just don't see why I have to eat off the floor. please explain your reasoning for this"
10. "you didn't seem very impressed with my last 'present' so I brought you this. Happy Halloween! Help your feline friend express themselves with a new collar charm by Hello Harriet (pictured in no. 8). 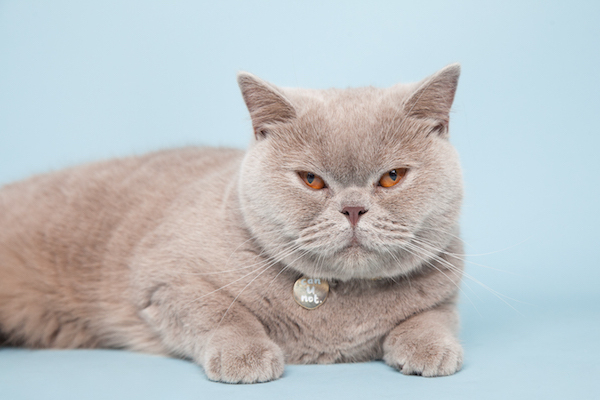 Choose from "ugh", "can u not" and "fur bae"
DOES YOUR CAT HAVE WHAT IT TAKES TO BE A CHESHIRE & WAIN MODEL?